I've made a NavLinkObject class which is just a NavLinkProxy without the simple links and sprite/navLinkRendering components so that we can build doors and windows and things like that. 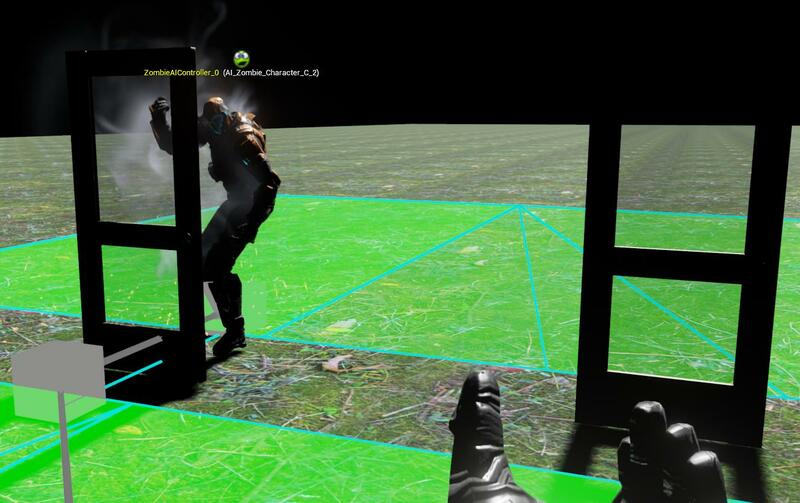 We want our AI to be able to go through these links to unconnected nav zones without having to recalculate nav mesh all the time. 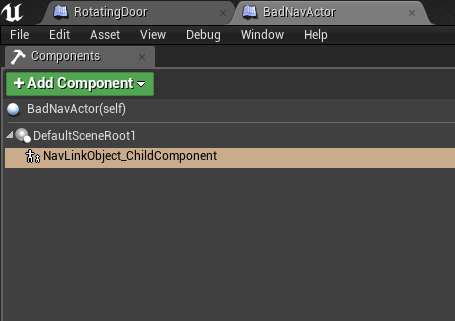 It works perfectly when I put it in a door for example, and throw that into a level directly, but when it's set as a child actor on another object, the link doesn't exist in the nav tree until I jiggle or move its parent actor to force a nav update. Additionally, it works just fine when first placing the object into the world for the same reason, since it forces a nav update. The object I'm using that's causing this is a blueprint actor created by adding mesh and other components. It's a small house with a front and back door which are themselves actors, in this case NavLinkObject actors with logic for locking, opening, etc. When first running the editor no AI can path into or out of the house, and running a Find Path to Actor Synchronously check in the level blueprint fails to cross the doorways. 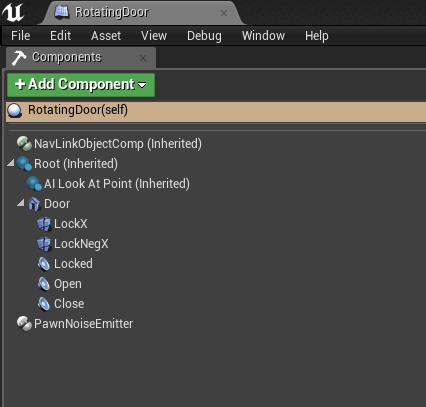 If I adjust something in the house actor, like adjusting a light position, and recompile it the nav link displays where the doors are disappear from the main view. As soon as I slightly move the house's position to force a nav update the link visualization comes back and pathing works correctly. This has to be done to each instance of the house actor every time the editor is closed and restarted. Are there any known workarounds for this? Prefab-like actors are kind of a pain to use right now, as child actor components with any sort of complexity don't play very nicely with each other without a lot of scripting workaround. Is there a way to force a construction script to re-run on an actor only in editor mode when it's first loaded up, or something like that? I have been attempting to reproduce this, but I am not having much luck. Can you explain exactly what you mean when you say "I've made a NavLinkObject class which is just a NavLinkProxy without the simple links and sprite/navLinkRendering components"? Are you doing this in C++ or purely blueprints? If this was done in C++, please post your .cpp and .h files for the custom NavLinkObject. If you turn on "Rebuild at runtime" does that affect the outcome? Any additional information about the actor may help. Thanks! The CustomNavLinkObject is a new code class, literally just NavLinkProxy with the simple link stuff ripped out. Code is at the end of this post. 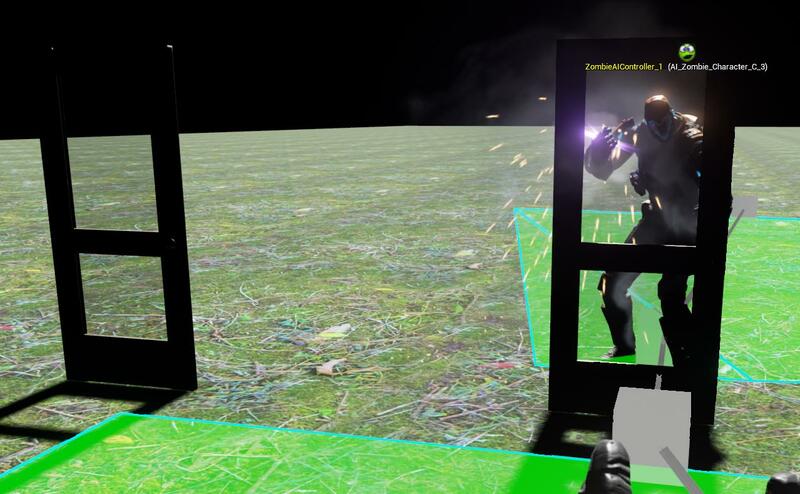 We have a blueprint actor called Rotating_Door which is a child of that class, with mesh and other things our game needs. From stepping into the code my best understanding is that when the BadNavActor is spawned and its component actors created there is no current UNavigationSystem, so it can never call UpdateNavOctreeElement. I've not been able to discover yet what the non-child actor is doing that the child actor component version of the door isn't, or vice versa, to understand what order of operations the problem is. It's not quite the same as what you showed, so my class may be a bit different from what you have. I then added a simple cube to the StaticClass component and placed it into a gap between two nav volumes. There did not appear to be any link that I could set up between the two nav volumes, and Smart Link didn't seem to be doing anything either. Do you happen to have a small test project that shows this issue that you might be able to upload? In the level blueprint I'm finding a path to the locations synchronously from the rightmost point to each of the other points. The obstacle on the right is the NavLinkProxy-descended object all on its own, the obstacle on the left is an actor with the NavLinkProxy object as a ChildActorComponent. Thank you for providing the sample project. The setup there was actually quite a bit simpler than I was attempting, and I was easily able to reproduce the issue. I have submitted a report of my observations to have this investigated further (UE-16445). I also tried testing this in version 4.8 and our latest internal version, but was unable to do so due to other issues. 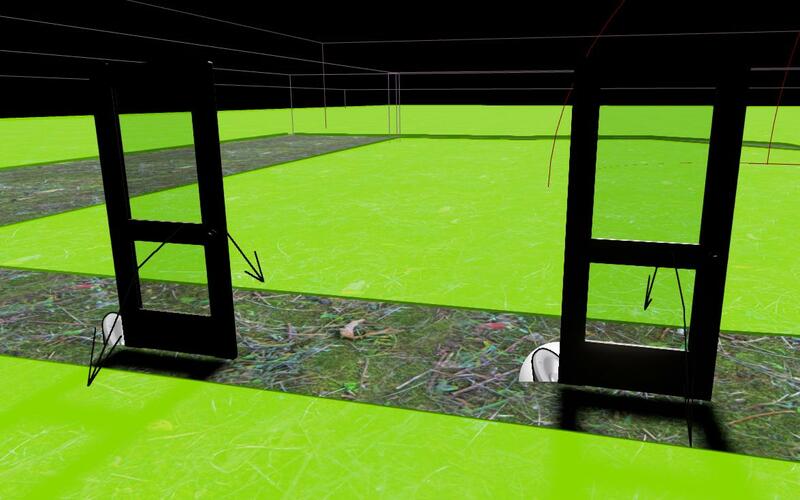 Why doesn't the Navmesh Content Example rebuild Navmesh during Simulation mode? [4.12.3] On editor open, a Child Actor Component class gets reset to a PLACEHOLDER class.